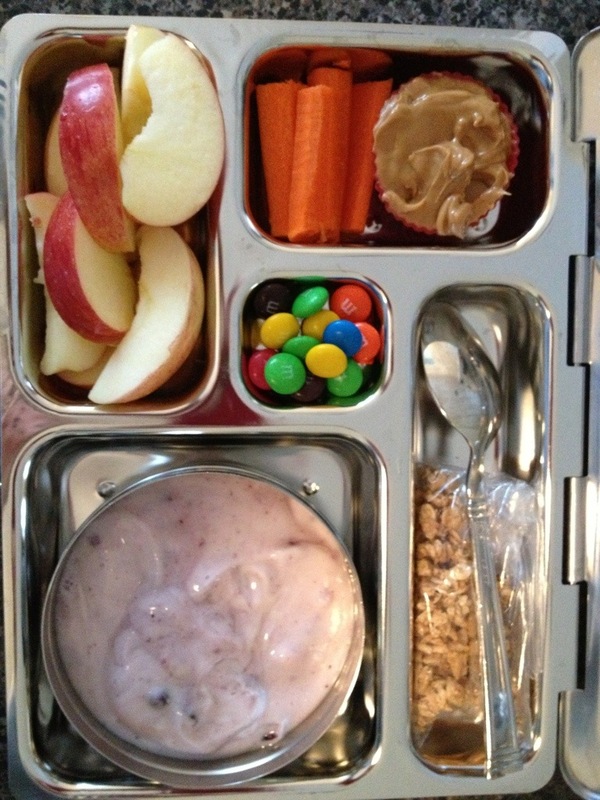 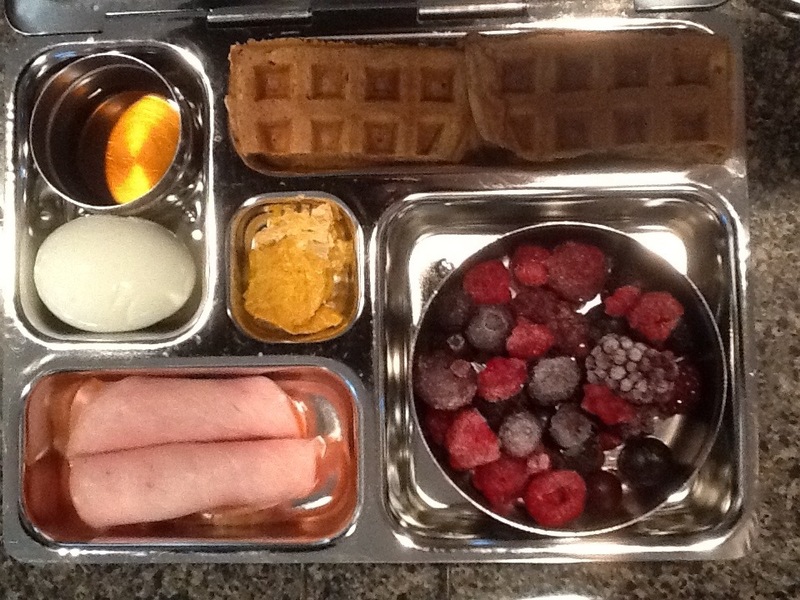 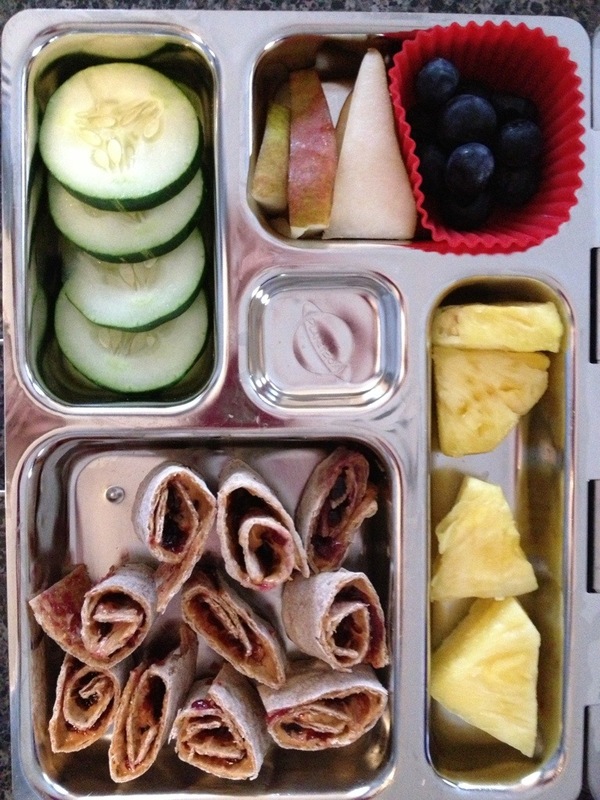 Create your own lunchable. 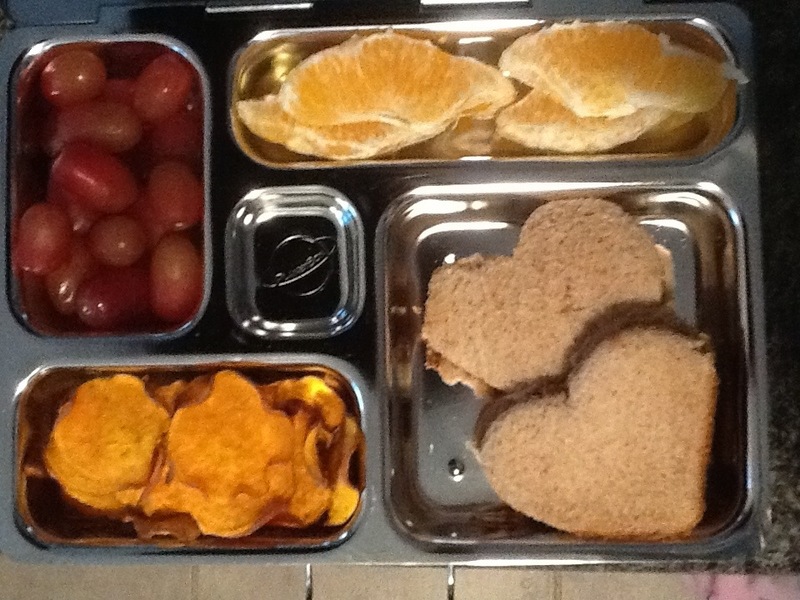 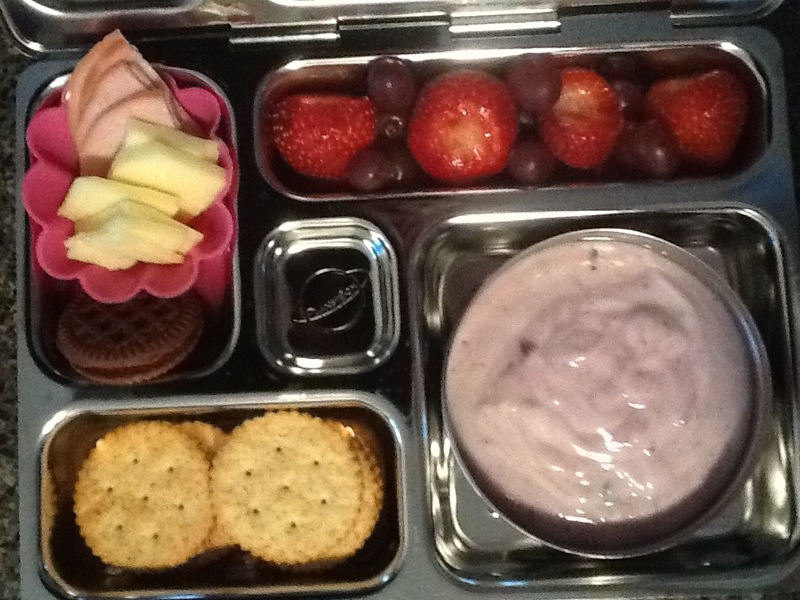 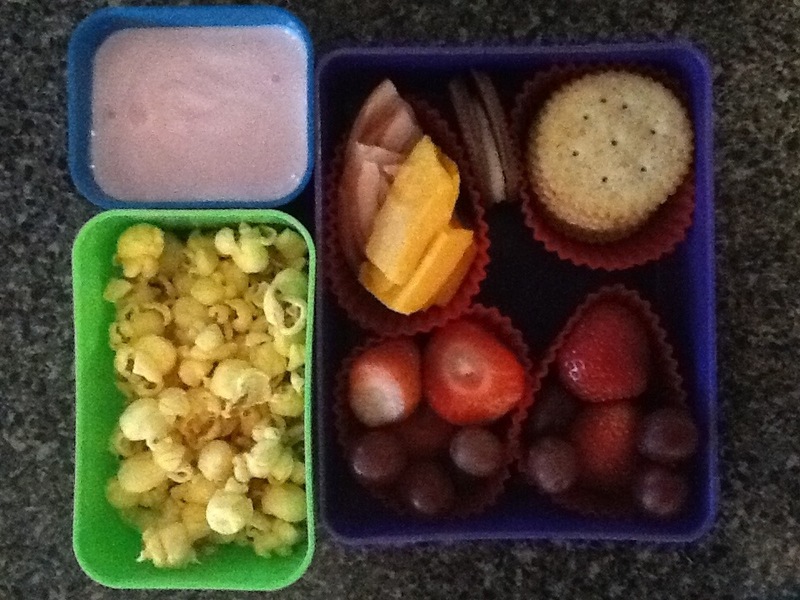 Ham and cheese slices, whole wheat crackers, organic Oreo, strawberries, grapes, yogurt. 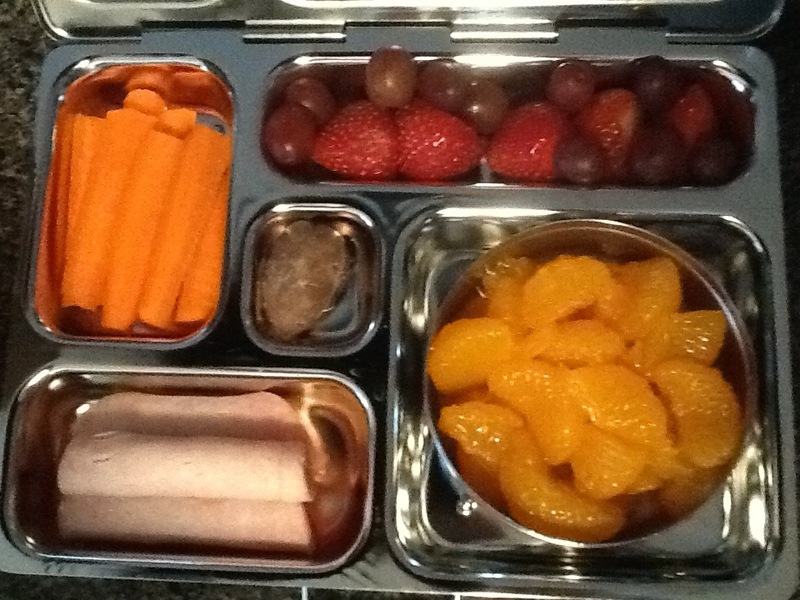 Oranges, ham, carrots, strawberries, grapes, chocolate covered pecan. 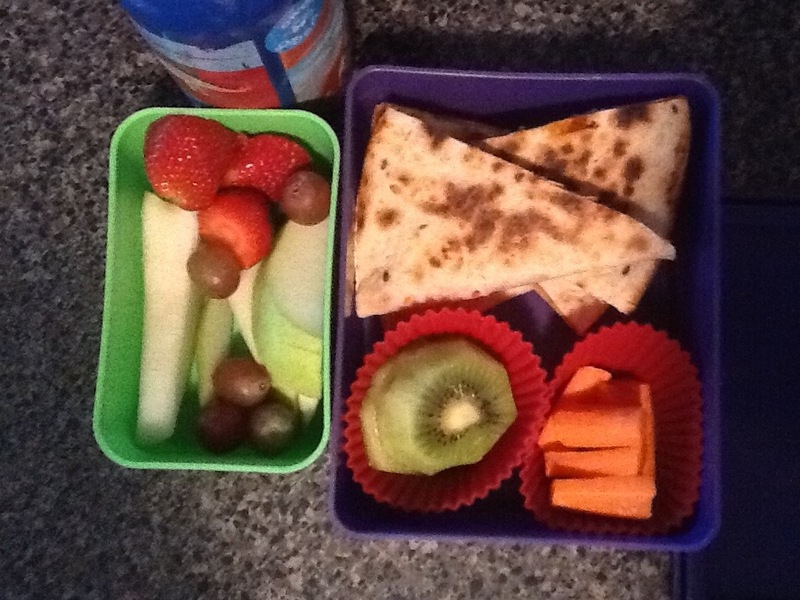 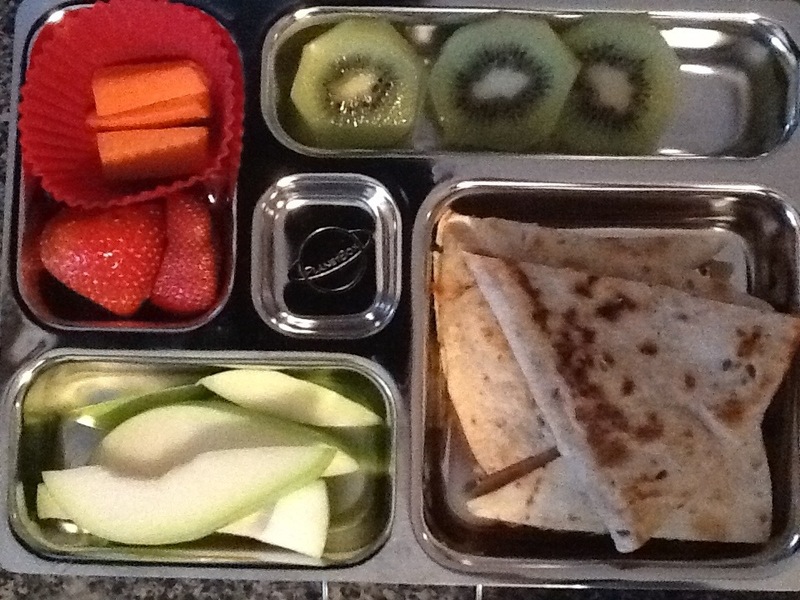 Pizza quesadilla, pears, strawberries, carrots, kiwi. 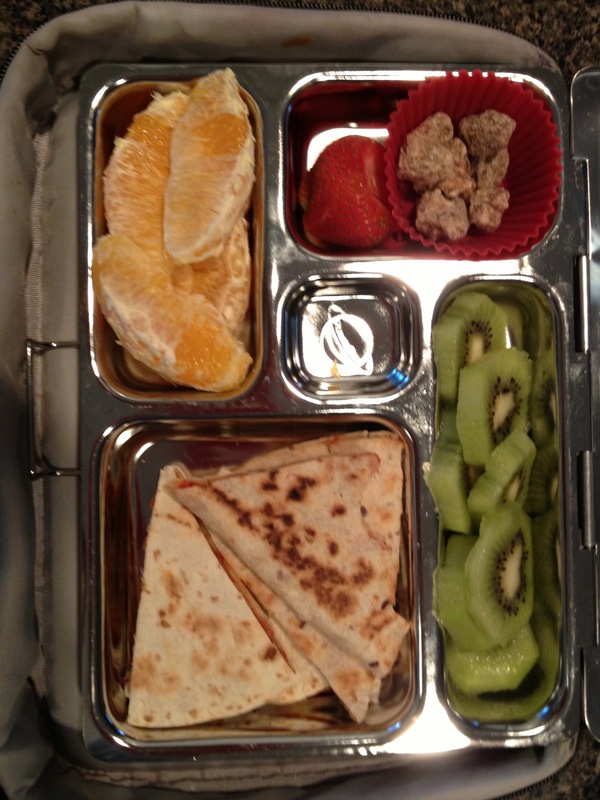 Pizza quesadilla once more, kiwi, oranges, strawberry, pecans. 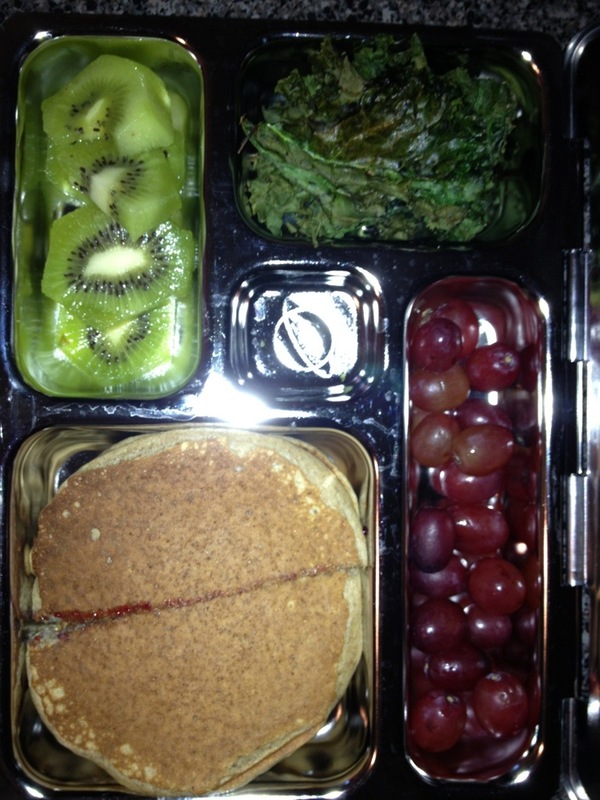 Pancake peanut butter and jelly sandwich, kale chips, grapes and kiwi. 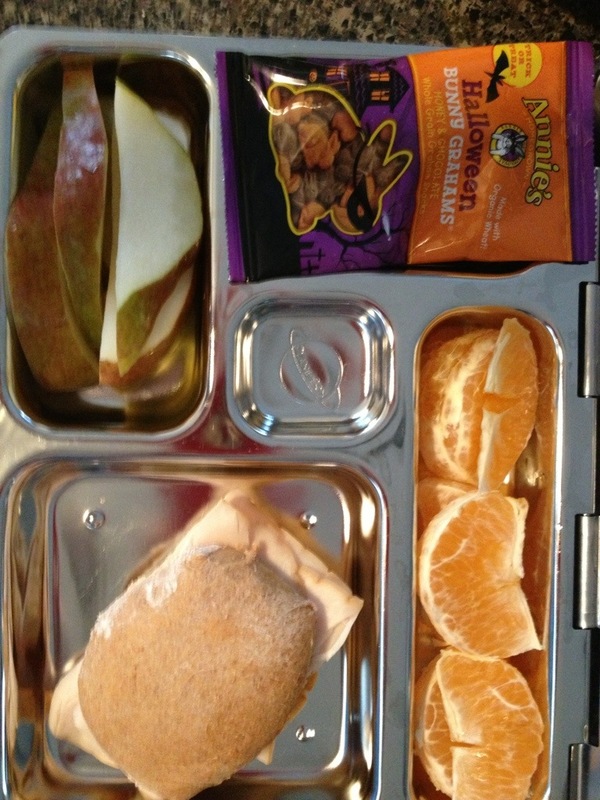 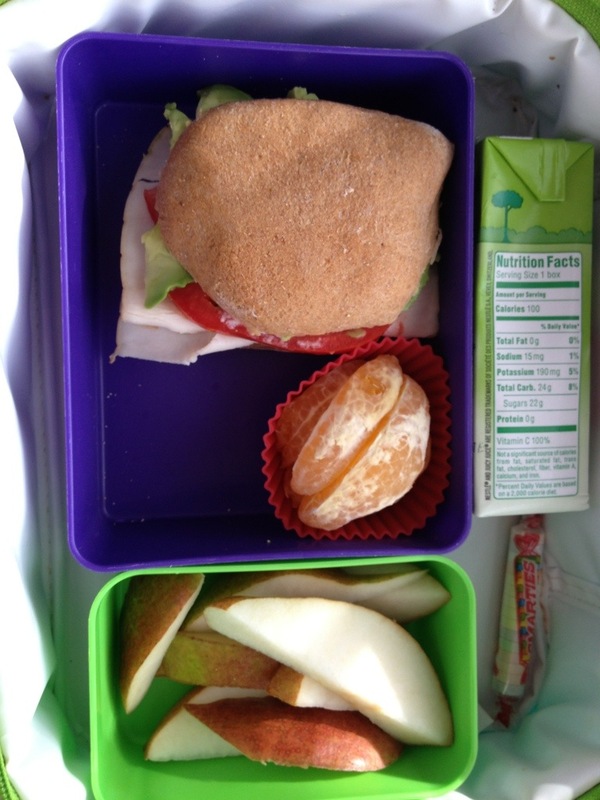 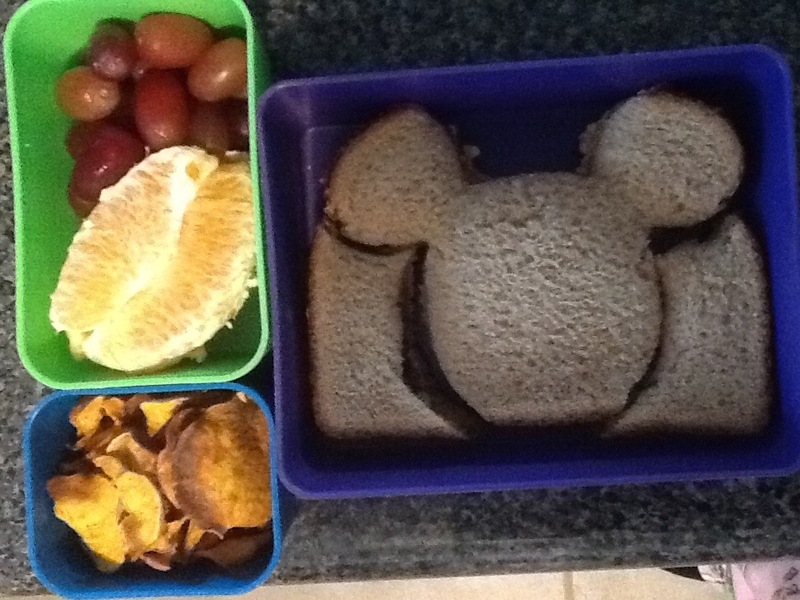 Turkey on homemade whole wheat roll, red Bartlett pear slices, tangerine slices and Annie’s bunny Graham’s (from Halloween). 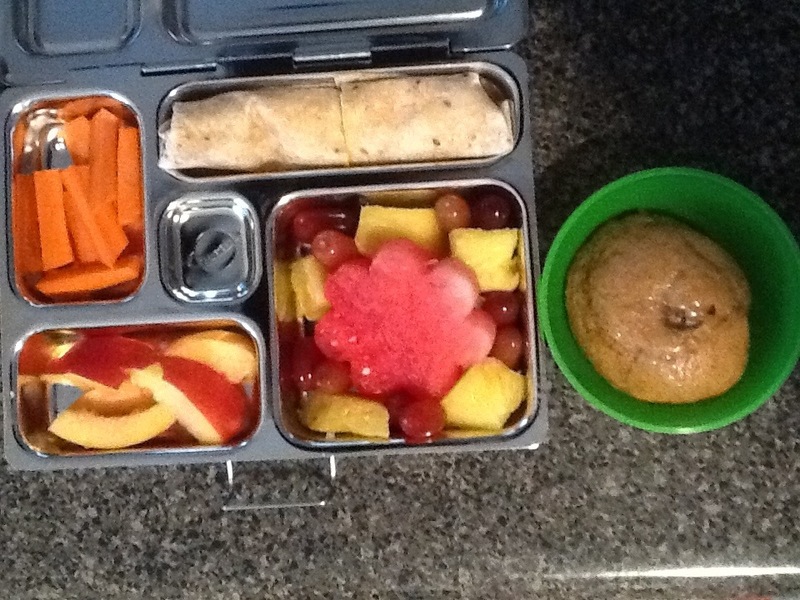 My son had mostly the same but with avocado and tomato on his turkey sandwich. 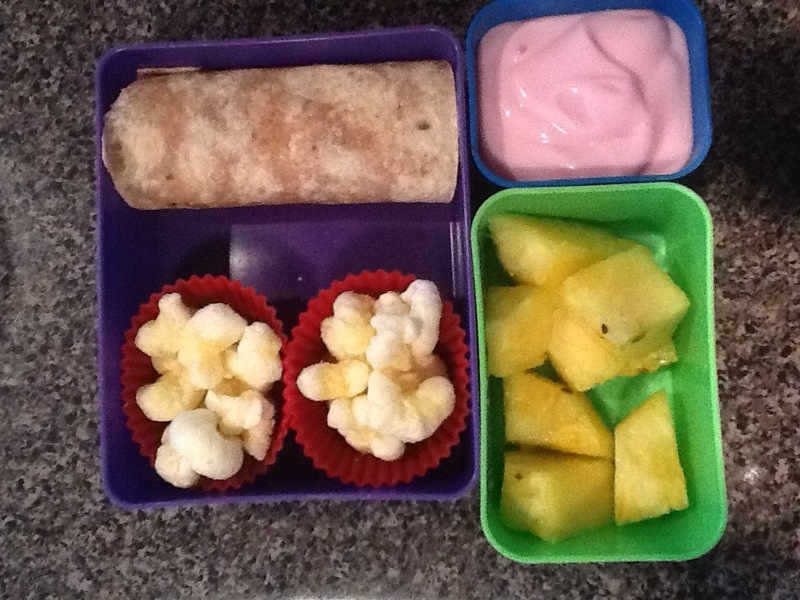 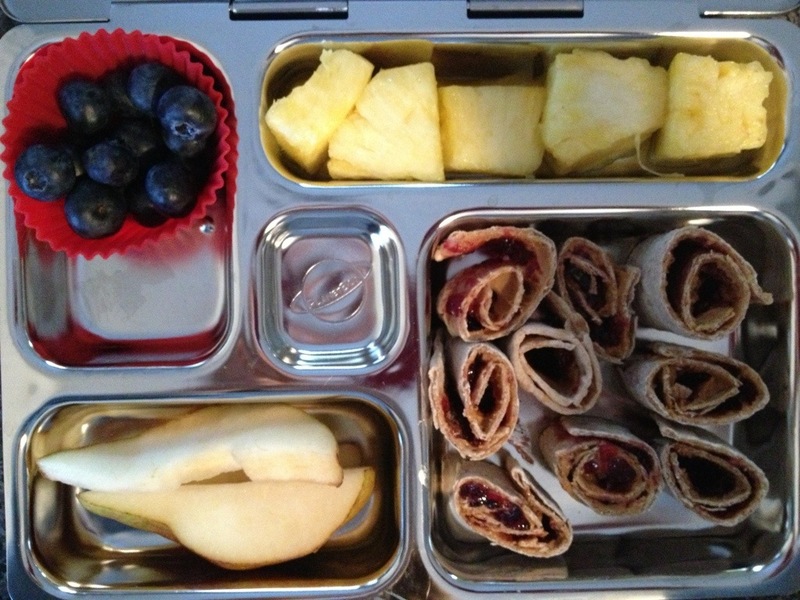 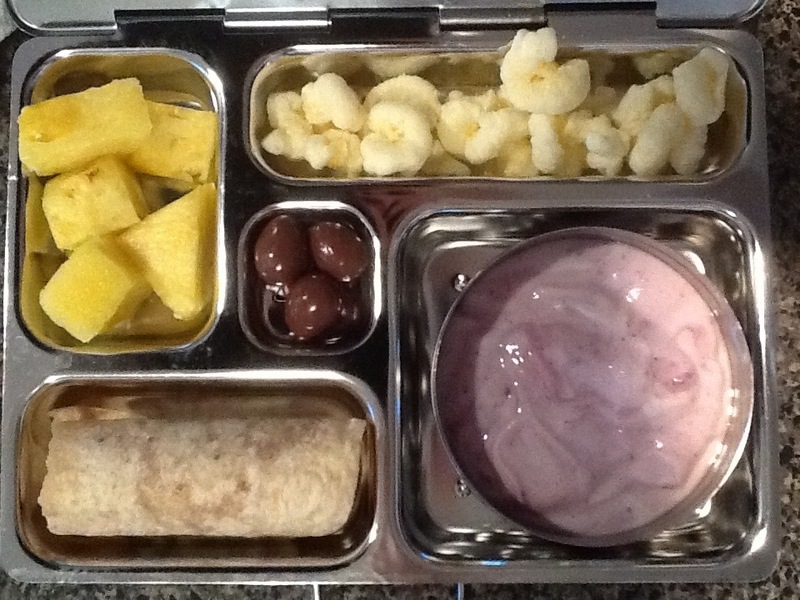 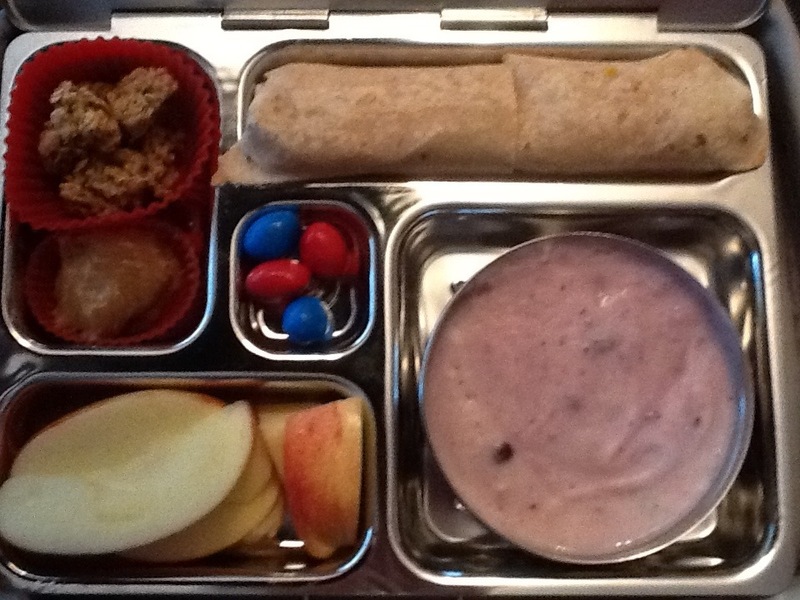 Peanut butter and jelly sushi rolls (used lavash), blueberries, pineapples, pears. 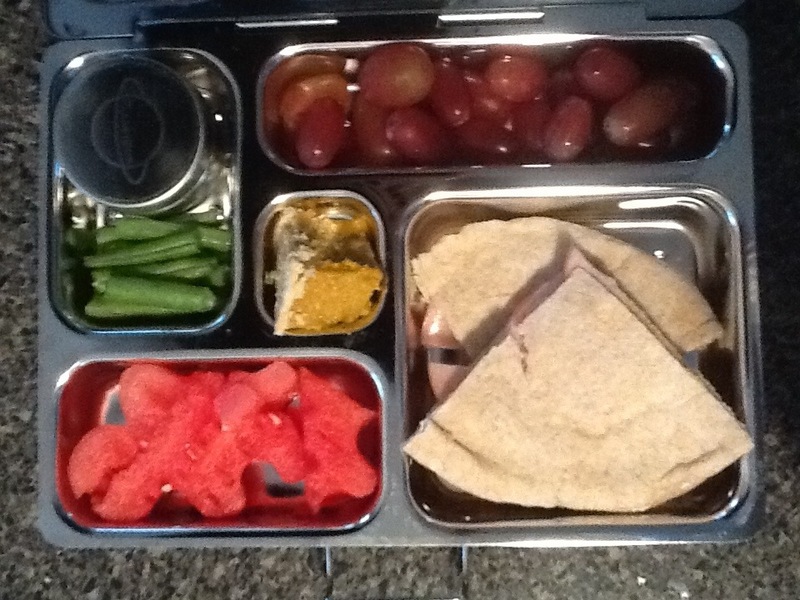 Same as above for my son only added cucumbers too. 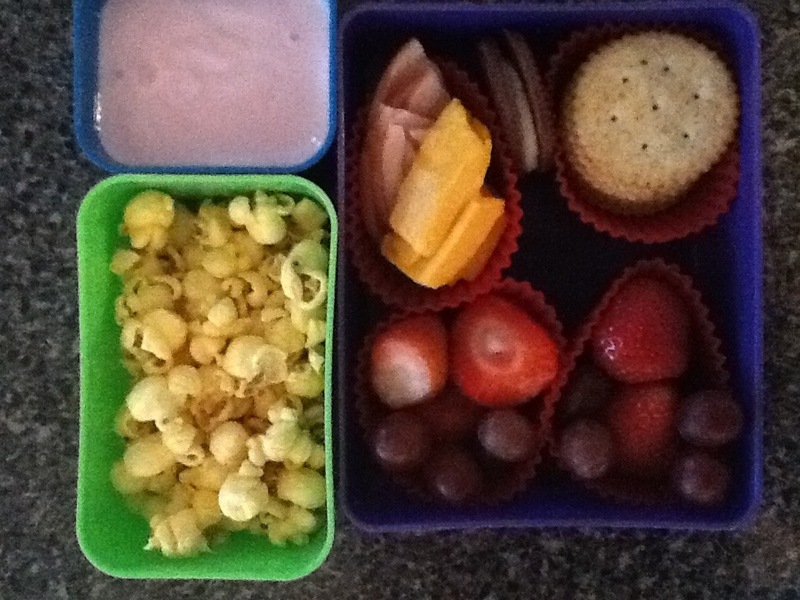 He loves them! 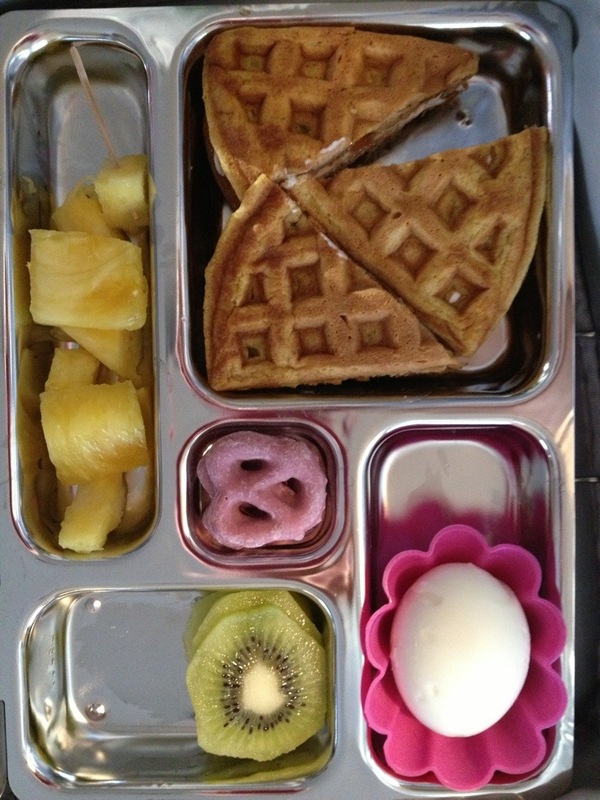 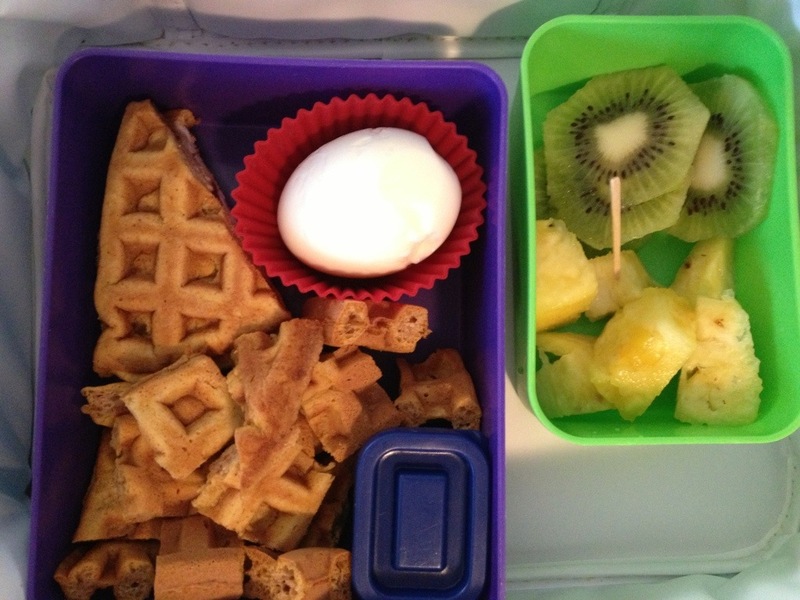 Son didn’t think he’d like the sandwich (not much he doesn’t like, so surprising), so I gave him a sample sandwich and cut his pumpkin waffles up and gave a little container of syrup.